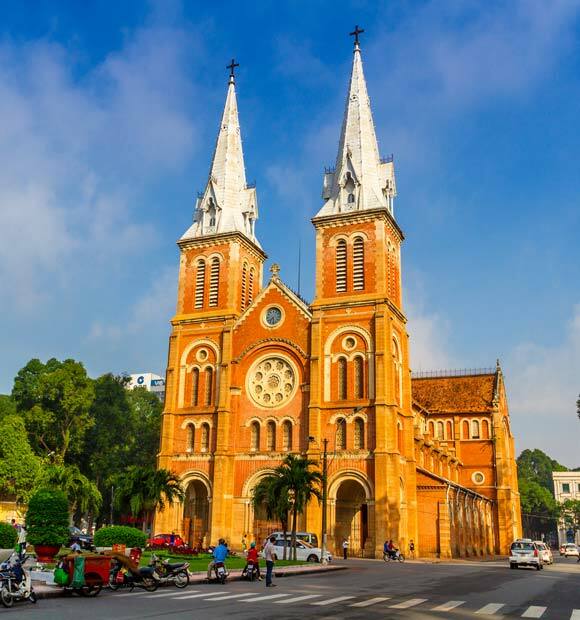 A cruise along the mystical Mekong is the perfect way to explore some of Cambodia’s rich history, from the time of the Khmer Empire through to the country’s French colonial period, with a chance to soak up a little of the traditional lifestyle along the way. On a Cambodia river cruise, you’ll be able to explore the country’s rich capital Phnom Penh for yourself and have the opportunity to see its greatest architectural and historic treasure , the incredible Angkor Wat temple complex. Stops at smaller river ports along your journey will give you a taste of traditional Cambodian life, from seeing local artisans at work to taking a scenic boat ride. Though Siem Reap isn’t situated on the banks of the Mekong, it does lie on the shores of Tonie Sap Lake which meets the river and serves as a popular starting point for many Cambodian river cruises. It’s not uncommon to spend a number of days in the city because as well as having its own appeal, it’s a convenient base from which to explore further afield. The biggest attraction for river cruisers staying in Siem Reap is the Angkor Archaeological Park, which is home to the magnificent Angkor Wat. 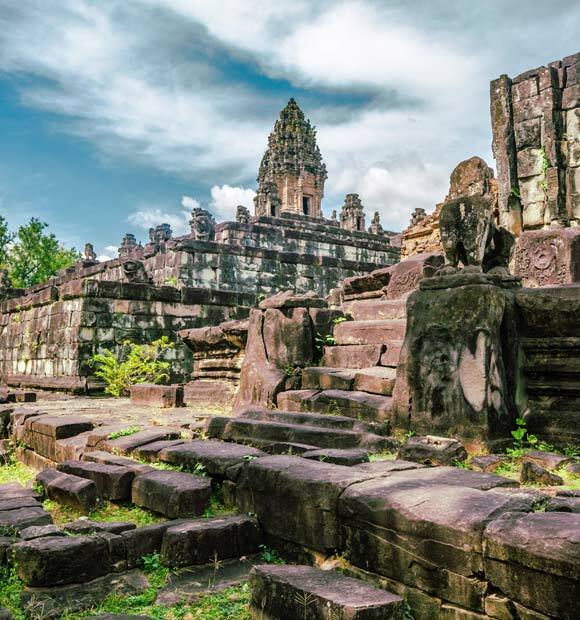 This utterly enthralling UNESCO World Heritage Site is one of the world’s largest religious monuments, shares both Hindu and Buddhist history and dates back to the time of the Khmer Empire. 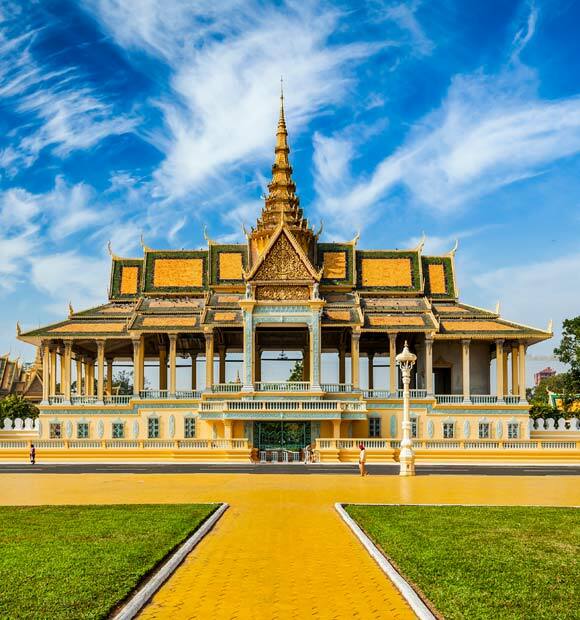 Relatively unassuming compared to Cambodia’s larger cities, Kampong Cham is the destination from which many Cambodia river cruises actually set sail. It’s quite the hub for the regional agricultural and fishing trade and during your time in the city, it’s possible you’ll have the option to visit one of the outlying villages to see locals at work. In Kampong Cham, the serene hilltop temple of Wat Hanchey is a key tourist attraction and predates even Angkor. The French Tower meanwhile, is a landmark which acts as the perfect introduction to the city’s colonial heritage. Cambodia’s capital is a fantastic city to experience and it’s indeed fortunate that it sits on the banks of the Mekong. All Cambodia river cruises stop here and there’s certainly plenty to see. 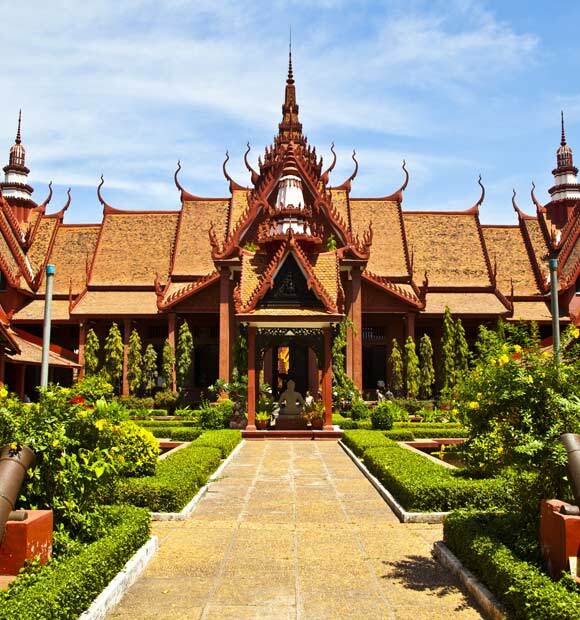 One of the most popular attractions is the 19th century Royal Palace, which combines the country’s cultural legacies perfectly, having been built in the Khmer style by the French. Another key excursion in the city is a sobering yet educational visit to the Killing Fields – the execution grounds of the Khmer Rouge and Tuol Sleng, their former detention centre which is now an informative and moving museum. 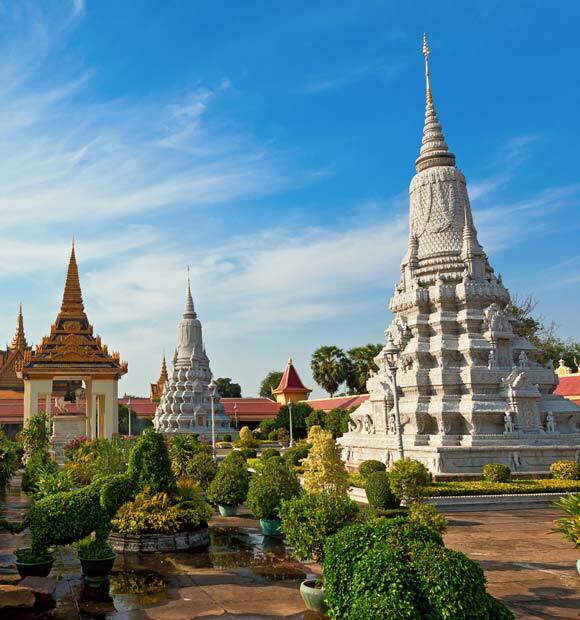 Whether travelling along the Mekong or taking a day trip out from one of Cambodia’s larger cities, your river cruise line will offer a number of excursions on which you’ll be able to immerse yourself in Cambodian culture. It could be a trip to a local English language school, a Rickshaw ride or an outing to a traditional silk-weaving village. Whichever itinerary you choose, your Cambodian river voyage will offer you the opportunity to get a taste of local life.